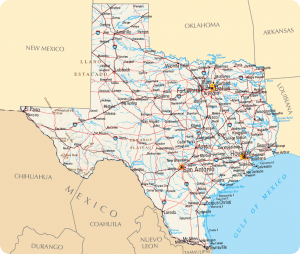 Within the “Great State of Texas”, professional, highly trained nurses are in extreme demand as Texas is included on the list of Top 10 Nursing Shortage States. It has been estimated that the amount of graduating nurses will have to double just to keep ahead of a critical shortage level. If you choose to become a part of the solution by pursuing a career in the nursing profession, you will not be disappointed. It is very rewarding both personally and financially. Nursing is also one of the oldest and most respected professions. With the many educational options available, now is the perfect time to consider nurse schools and nursing programs in Texas. 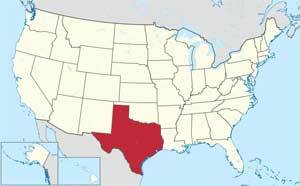 Texas is also a compact state which will afford graduates even more opportunities. Within the state, LPNs make up approximately 28% of the nursing workforce and have a comfort scale that is ranked at number 9 in the nation. The rising demand for new LPNs gives this career a bright outlook for the future. To earn a LPN degree, you are required to take a one year program and have hands on experience. After graduation, you become eligible to take the NCLEX-PN exam. LPNs perform a variety of duties depending on where they are employed but you can generally expect to perform some of the following: taking patients measurements, wound care, immunizations and performing CPR. You can also expect to perform bathing and feeding, monitoring fluid output, administering medications and performing some diagnostic procedures. The Texas State Board of Nursing recognizes two separate RN degrees. There is an Associate Degree in Nursing (ADN) or a Bachelor of Science in Nursing (BSN). Programs lengths are 2 and 4 years, respectively. Either degree option will entitle you to take the NCLEX-RN exam. There are 97 accredited nursing schools throughout the state. As an RN in Texas, you can typically expect to have duties including performing CPR, performing diagnostic test procedures and setting up IVs. You will also be administering medications, supervising LPNs and CNAs, establishing patient treatment plans, dealing with medical emergencies and more. With many students unable to attend educational institutions on a full-time basis due to family or work obligations, online degree programs offer needed flexibility and are gaining in popularity. You can begin your career with online CNA or LPN programs or you may choose to upgrade your degree. Programs offered online include CNA, LPN, LPN-RN, LPN-BSN, RN-BSN and BSN-MSN. It is highly recommended that students check with the Board of Nursing to determine if the program has been properly accredited by the state.